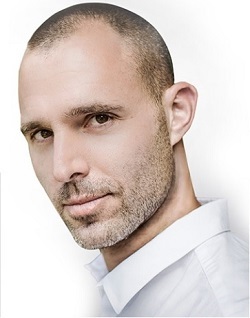 Richard Sutton – Wellness Health Speaker is a member of the International Association of Healthcare Professionals and is a clinically trained neuro-vascular practitioner, with a background in bio-kinesiology. His education abroad with some of the world’s greatest innovators in medicine has provided a platform for his unique and expert understanding of the complex inter-relationships, which exist within the human body. Richard’s reputation as a problem solver within the context of overcoming chronic pain and reaching one’s overall potential first emerged in professional sport. Over the last two decades, national federations and individual athletes from Russia, the USA, Germany, Switzerland, India, Australia, Thailand, South Africa and People’s Republic of China have regularly sought his expertise and guidance. Richard Sutton – Wellness Health Speaker has worked with five former world number one tennis players, Springbok rugby captains and Olympic gold medalists. In 2007, in an attempt to exceed previous Olympic results, China contracted Richard as their Director of Athletic Development for the 2008 Beijing Olympics. Richard Sutton – Wellness Health Speaker is also a highly respected educator and presents postgraduate Health Professionals Council of South Africa (HPCSA) accredited courses at a number of universities and congresses (both local and international) within the fields of pain management, regional injuries, health facilitation and athletic development. In addition, Richard Sutton – Wellness Health Speaker has been a regular contributor to several leading health and sports publications. Richard runs a practice and consultancy specializing in chronic pain disorders, as well as a broad spectrum of complex health issues. He is currently writing a book on health and vitality. The Science Behind a Better Life – Can 60 be the new 40? Diving into human biology, this talk identifies the root cause of ageing and related diseases. In essence, the talk will provide information and the motivation to implement subtle changes that will ultimately promote increased strength, fitness, mental acuity, memory, concentration, heath, youthfulness, vitality and freedom from age-related illnesses. For over 70 years, medical research has continuously shown strong associations between chronic stress and health compromise. Chronic stress has also been linked to accelerated ageing, cognitive decline, emotional instability and a wide variety of pain conditions. With a deeper understanding of the biological effects of stress and the ability to consciously control and mediate many of these responses, stress can be successfully harnessed and used to increase clarity and, in turn, improve productivity and performance. The talk provides practical advice that can be incorporated easily into one’s daily life (including small changes to diet, exercise, environment and response to stress stimuli) that can transform a potentially toxic state into one that confers incredible benefit. This evidence-based talk has broad appeal in that it identifies lifestyle choices as key drivers in personal and professional success. The seminar explores nutritional practices, activity habits and certain environmental factors that promote cognitive, physical and emotional potential. This seminar is an absolute ‘must’ for the health and performance conscious. Seminars and lectures can be tailored to groups and companies, based on special interests and needs.